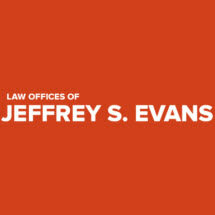 At the Law Offices of Jeffrey S. Evans in Waynesboro, Pennsylvania, we provide prompt and effective attorney representation. Since 1989, we have handled a wide range of practice areas, including family law, estate planning, probate and estate administration, real estate law, criminal defense, personal injury, business law, state and municipal law, and civil litigation. You want a lawyer who is genuinely concerned about your needs and goals. When you choose our law firm, we will start by listening to you. We will provide a comprehensive evaluation of your case, your rights and your options. You will have questions, and you will get answers. As your case progresses, Jeffrey S. Evans and the rest of our team will keep you updated and involved as we work hard to achieve your goals and overcome your legal challenges. You will benefit from having a local law firm on your side. We are based right here in Waynesboro and are committed to meeting the legal needs of individuals and businesses in Franklin County, Fulton County, Cumberland County and Adams County. Jeffrey S. Evans was born and raised here. He and the rest of our team have a stake in protecting the rights of our fellow community members. Whether you have a family law case or any other legal matter that needs to be resolved, you can count on us for dedicated and experienced representation. Attorney Jeffrey Evans has extensive experience in handling a broad range of family law matters, including divorce, custody actions, support, adoption, name change, juvenile law and paternity. We have provided intelligent estate planning guidance to the people of Pennsylvania since 1989. We can guide you through the probate and estate administration process with care, efficiency and a commitment to seeing that your loved one's final wishes are followed. We have handled various commercial and residential real estate matters throughout Pennsylvania for almost twenty years. We can guide you through the nuances of real estate law while minimizing the risks involved in real estate transactions. Our firm provides a wide range of services to businesses and individuals facing civil law issues.